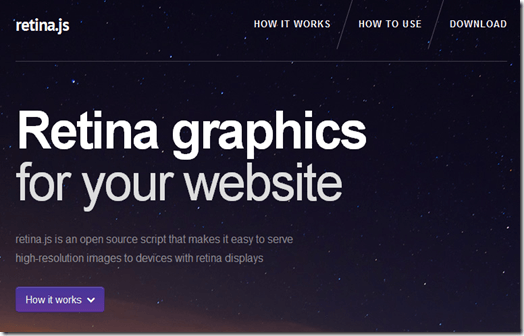 Code Inside Blog | The Retina/HiRes Displays are comming! HD-Web ahoi! The best part of the IPad3? The Display. After years of waiting for High Resolution Display there are now some movements in the market. Of course this has an important influence on web-development because nobody wants to see washed-out Pictures or even worse: a totally broken design. How am I able to identify a High-Resolution Display? What do I have to take into consideration? I’m not a full-time Web Designer, so please forgive me if this article isn’t perfect at all . I’m glad to hear your suggestions in the comments! 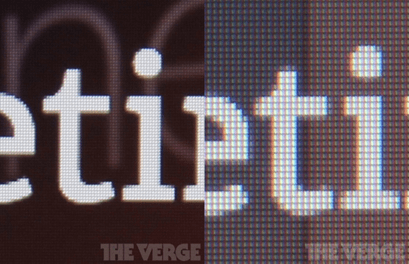 What’s special about the Retina/High Resolution Displays? The idea is that the framework takes the high resolution pictures automatically if there are some. With that both Retina and Non-Retina-Displays get their chance to shine. It needs to be accented that this means a lot of work for the data line because the pictures needs to be downloaded twice and the Retina images are much bigger. The Retina Version is three times bigger than the normal size! All you have to do is to implement the Script and it will start searching for every img-Tag on the Site and check if there is a Retina Version. For Background-pictures in CSS there is a .LESS Mixin which creates a Media-Query and deliver the adequate picture. That means Retina Displays get a HighRes Version and non HighRes gadgets get a normal version of the image. The Code is on GitHUb. Disadvantages on this option: Like on Apple the pictures need to be downloaded twice. On the one hand its grate if every website tries to shine with High-Resolution Pictures because clear and defined pictures make fun but if you don’t own a fast internet connection or if you try to surf on the way it could be very annoying. At the moment you can get UMTS everywhere but there is always a data limit and the Provider manipulate the web to save Bytes. If you are forced to see waiting pages before you are able to enter the website (like it happens with Flash in the past)? I’ve only spoken about pictures so far but of course there are many subjects left. One subject is how to deal with Icons – maybe Icon-Fonts are an interesting subject. The issue Responsive Design and SVGs plays an important role as well – for this topic I found an interesting Blogpost. Will there be HighRes Displays for Windows as well and experiences with Web-development with HighRes Images? 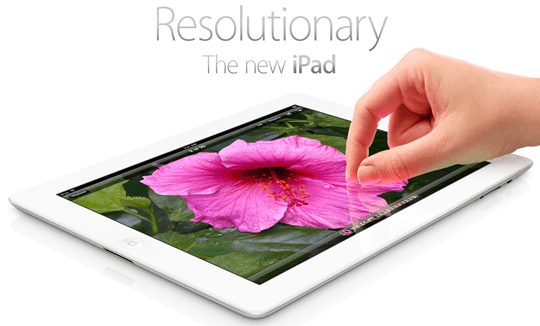 Even though I’ve wrote about High-Res displays all the time the only one I know is the iPad 3 display. Does somebody know another one? Or will there be an upgrade with Windows 8? If you own a Mac (and an iPad3) you are able to use it as a High-Res display. If you know alternatives in the world of Windows please tell me Do you know somebody who is already providing special pictures for the iPad3?